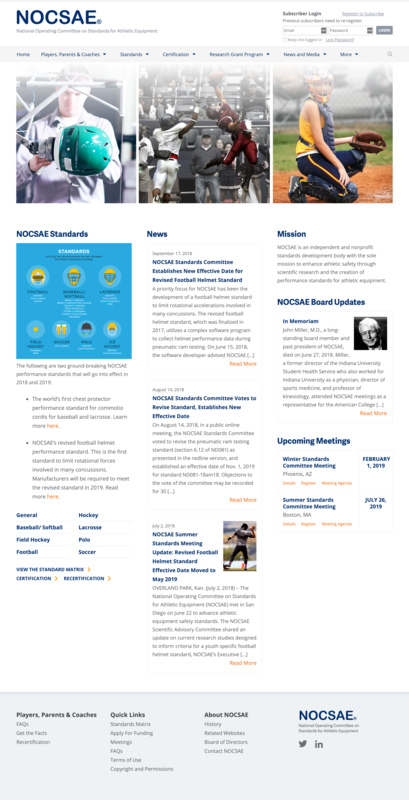 The National Operating Committee on Standards for Athletic Equipment (NOCSEA) was in need of a document management portal and notification service for their stake holders. Responsible for crafting the guidelines for safety in regards to athletic equipment such as football helmets, shin guards, face masks, etc. 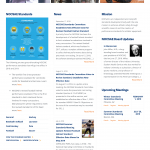 Their user based needed easy accessibility to current documents as well as historical changes over time. They also needed to be notified of changes as they happened. We developed a matrix to filter and search through standard documents, review history and leave feedback, as well as subscribe to updates on a Standard category or individual document via email.